1. 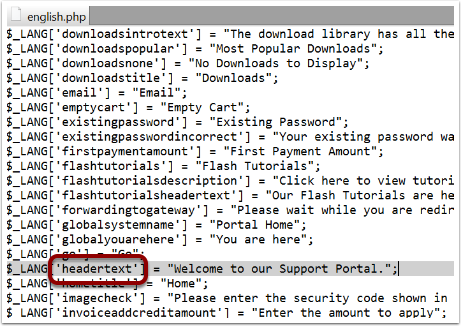 Open the /lang/english.php file in your preferred text editor. 2. Search for the text you wish to customise. Note down the corresponding string name, as highlighted below. In this example we are going to change the text "Welcome to our Support Portal." So the string name is headertext. 3. 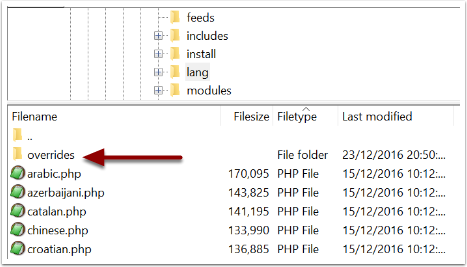 Create the folder overrides within the lang directory. 3. Open the newly created file in your preferred editor. 5. Enter the string(s) you wish to override along with the new text. 6. Save the file with UTF-8 encoding and upload to your server.